To understand the purpose of the martial arts training we have to understand the goal towards training; Self-Enlightenment, Self-Empowerment, Self-Defense and Self- Protection of oneself and loved ones. I was once told of an old story of these two master swords man who were closer than brothers. They both mastered the way of the sword, and prepared to start their journey of Musha Shugyo (武者修行). They were going to be separate for many years. So they met one day on the opposite side of this creek, and they agreed that they would re-unite at the same place, at the same date, twelve years later. Twelve years later, at that date they found that the rain and the course of nature had changed that creek to a large raging water stream so there is no way that they can meet at the exact same place. As one of the samurai determined to live up to his vow and to show his incredible level of skill that he amassed over the twelve years. He took a running jump and leaped over the deadly current of the rushing water, safely on the other side. The other samurai walked upstream and hired a boatman to get row him across safely to meet his close friend. The skills that one man spent 12 years of training and refining was duplicated effortlessly with a few pennies. Similarly if your goal is only to “win” or “kill”, than we can just buy a gun rather than investing years of training. This is why students of Budo need to understand that Budo is not just about winning. Next we need to understand that winning is more than just defeating your enemy, it is about perfecting yourself – your personal character – as well as your skills as a martial artist. 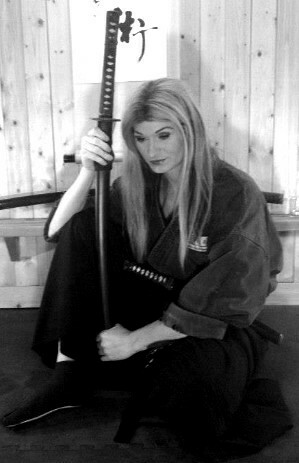 In Eishin Ryu Iaijutsu (英信流居合術); one of the seven warrior traditions of the Budo Ryu, there is a saying: Kachi wa saya no naka ni ari (Victory comes while the sword is still in the scabbard) physical skills alone no matter how highly developed are not enough. There is always someone more skillful or someone with a dirty trick that will leave you unprepared. But attitude is better than aptitude in actual combat. Without having a strong warrior spirit, courage and determination a high level of skill is useless. So the purpose of training in Budo is to develop the mind and spirit of a warrior and such a strength of character that it wins a battle before it begins. This takes years of training to do. These skills also lead to the ability to rid your self of and not respond to hate, slander, anger, fear, selfishness and jealousy as they are counter productive and self-destructive. Simply put frustration is the first sign of mental weakness. Those that get so frustrated that they have to say and do negative things are clearly mentally weak, and as a warrior and a practitioner of budo, you should not concern yourself with this action as this will also lead you off of true path of Budo.